When Monte LeVernois is wheeled into a dental clinic at a long-term care home in Halifax, saying "Good morning" to him provokes no response. He has dementia and it's not clear what he understands. But his dentist is equipped to deal with the challenge. "It's a very challenging population to work on for a number of reasons," says Kirby. Depending on the stage of dementia, patients may refuse care or even bite Kirby, mistaking what's in their mouth as food. He doesn't blame the patients. "They are no longer able to follow instructions. They're confused. Things are out of the ordinary for them, which makes them very, very difficult. So the key is to get in there early. Find the problems. Deal with the problems when things are able to be taken care of." Sometimes though, it's not possible to fix a patient's dental problems before his or her dementia has taken hold. Kirby then relies on techniques he's learned. "You've got to be very careful in terms of how you're dealing with these patients in terms of the way you speak to them, your hand movements, your gestures. You want to make sure that they're always feeling secure and comfortable." Sedation is an option for some patients who are particularly anxious or unco-operative. But the frail health condition of dementia patients sometimes precludes sedation. Kirby takes advantage of the newer design wheelchairs, many of which tilt back, so he doesn't have to cause distress by moving the patient out of his or her wheelchair. Kirby says serious — even deadly — health problems can begin in the mouth, including in dementia patients. "You can have life-threatening infections which travel from the floor of the mouth to the brain and so people think, you know, it's just a minor abscess. Well, a minor abscess can turn into a significant problem." 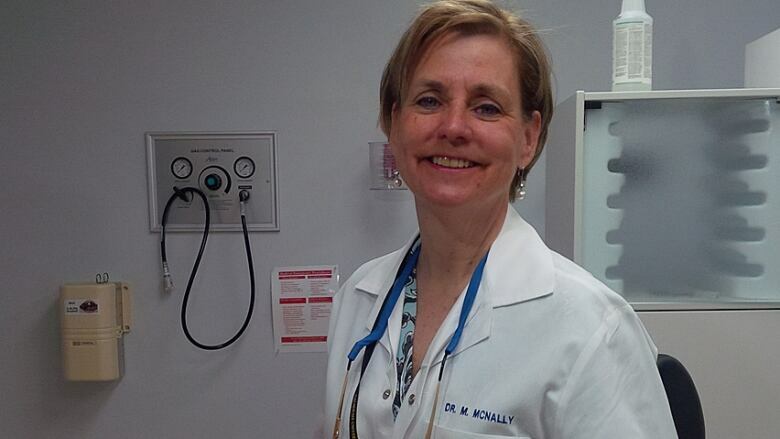 Dr. Mary McNally, a professor at Dalhousie University's School of Dentistry, is passionate about improving dental care for seniors at the school's elder care clinic. She spearheaded a large research and training project, called Brushing up on Mouth Care, which outlines what dementia is and how it can affect a patient's behaviour during dental care visits. "I think you just need to stay calm. I mean, these people are sick. They need your help. They're not doing things to cause a problem. They're doing them because they have a cognitive impairment and are declining." McNally says a reality we need to understand about dementia is that these patients perceive their surroundings in a very different way. "You might have someone coming into your dental operatory and they're walking over a black mat and they might think it's a puddle of water. They might not recognize what the chair is. So what's manifesting as natural losses associated with dementia is, in fact, them responding to the reality in their world … Their behaviour is a result of their lived experience. That's what makes them challenging. We don't understand what those realities are for them." Set a routine time and place for oral care. Have the caregiver identify him or herself and what he or she is going to do. Use visual or verbal cues, short sentences and simple words. Maintain a calm and quiet atmosphere. Use positive reinforcement, such as nodding the head or giving a thumbs up. Provide oral care after a meal when a patient is most content and co-operative. Distract the patient by singing or giving them something to hold, such as a toothbrush. Put the toothbrush in their hand and guide it with your own to encourage toothbrushing. McNally says it's also useful for dentists or caregivers to mimic an action. In other words, don't just say, "Open your mouth." You have to open your own mouth and demonstrate. McNally thinks consistent dental care is important given the prevalence of dental diseases such as cavities among people with dementia in long-term care, as well as the decreasing incidence of dentures among seniors generally. "The aging population is actually aging with more of their natural teeth. So now folks are going into residential care. Even a generation ago, they mostly had dentures. Well, now we know that they mostly have natural teeth. So that has a huge impact on the care system because the care system and care providers are having to adjust to this whole level of managing an aspect of health that they didn't have to manage before." McNally says it's clear this is becoming an issue of wider concern. Her research and training document and videos are available online and gets hits from Europe, Australia, India and South America as well as Canada and the U.S.
Gail MacDougall understands the challenges of getting a frail senior with dementia to receive dental care. Her 95-year-old mother has dementia but MacDougall says it was never a question as to whether her mother would go for regular dental visits, not only for her health but also her looks. "My mother loves her clothes. She likes to look well. I think appearance is part of it, as well as nutrition and overall health. You don't want unnecessary infections in a body that's already compromised." 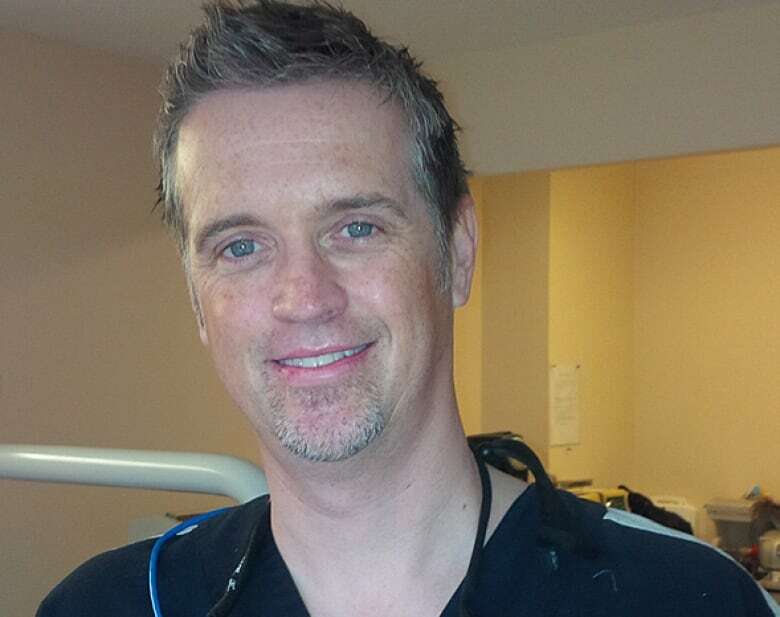 Back at the dental clinic at Northwood, Dr. Kirby finishes the procedure on LeVernois. It's not clear LeVernois has any clue what has just happened to him. Kirby says a little compassion goes a long way. "Many of us will be in the same situation so I think it's important that you just keep calm and do what you can."